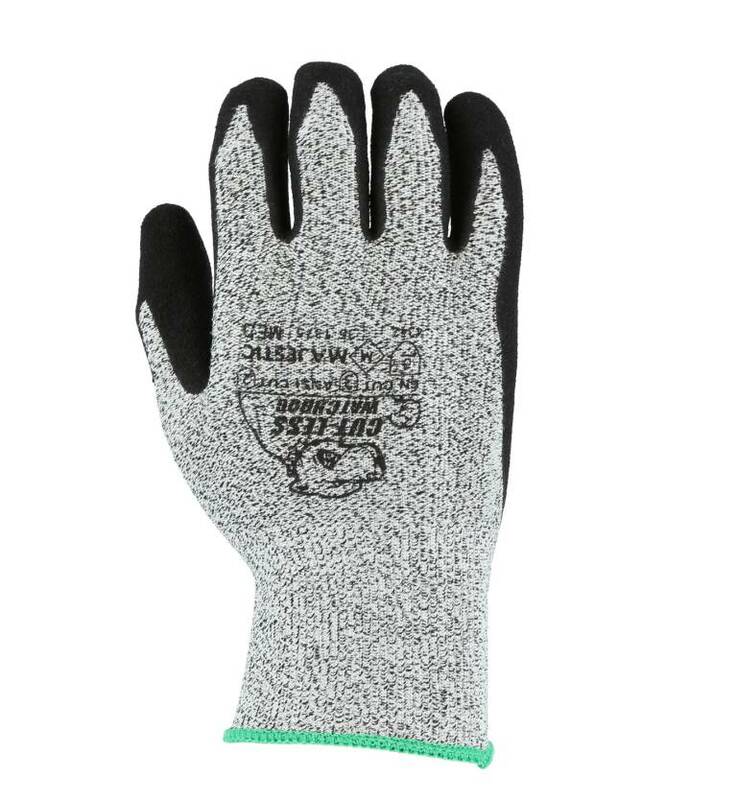 Majestic 35-1375 HPPE Cut Level 3 Gloves. 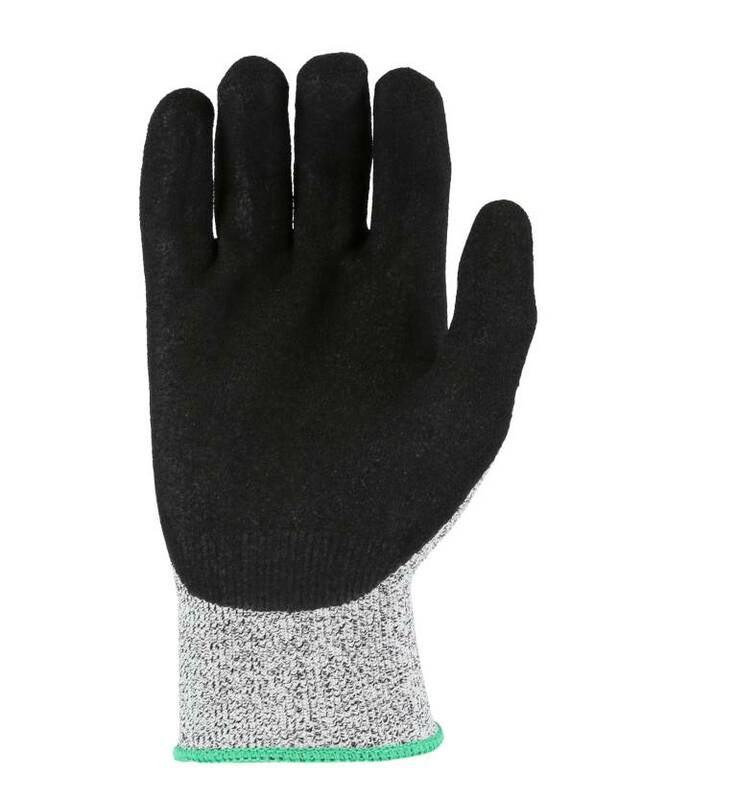 Gray shell with black sandy nitrile palm coating for industrial applications. 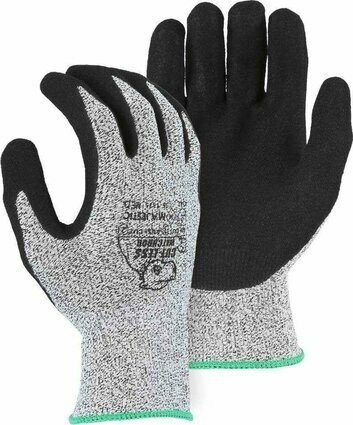 HPPE Cut Resistant Gloves Keeping workers safe from cuts and abrasions demands the right kind of hand protection for the right job. High Performance Polyethylene (HPPE) is one of the strongest and most advanced cut resistant fibers available. Its lightweight properties offer tactility and flexibility while maintaining exceptional cut resistance and extreme comfort.